Obesity in the United States is not going away. According to the most recent data, adult obesity rates now exceed 35% in five states, 30% in 25 states, and 25% in 46 states. The adult obesity rate decreased in Kansas but increased in Colorado, Minnesota, Washington, and West Virginia, and remained stable in the rest of states. This supports trends that have shown overall leveling off of obesity rates in recent years. However, there is still a long way to go to get obesity under control. What can you do about it? Get your diet in check, take supplements and exercise. For a look at informative articles and supplement reviews, see Customer Review here. Try getting out of your comfort zone and incorporating some, if not all, of our suggestions to help you get lean. Americans consume way too much salt. According to a new report from the Centers for Disease Control and Prevention (CDC), 9 in 10 Americans or 90% consume more sodium than the recommended amount. Sodium overconsumption not only contributes to weight gain but also high blood pressure, a major risk factor for heart disease and stroke. A safer and tastier natural alternative is to use more herbs and spices, which will also contribute to weight loss since they are calorie-free. Herbs and spices are a great way to add a lot of flavor to food without adding extra fat, sugar or sodium. They are also rich in antioxidants. Hot spices like cinnamon and cayenne pepper provide a metabolic boost and provide appetite-suppressing effects. So, sprinkle cinnamon, vanilla or nutmeg to flavor foods when you want to combat your cravings for something sweet. Add cayenne pepper to stews, soups or marinades to add a kick and smoky flavor. Dry herbs and spices are ideal when cooking with, while fresh herbs are best when added at the end of the cooking process or as a garnish. Americans are not known as tea drinkers but maybe they should take on this habitual beverage. Enjoying a cup or two of tea may be the easiest way to lose weight. Tea fills you up before meals and helps digestion when drunk afterwards. The bioactive compounds (polyphenols) in tea are known to increase energy output and fat burning. There are many flavors and varieties to choose from. 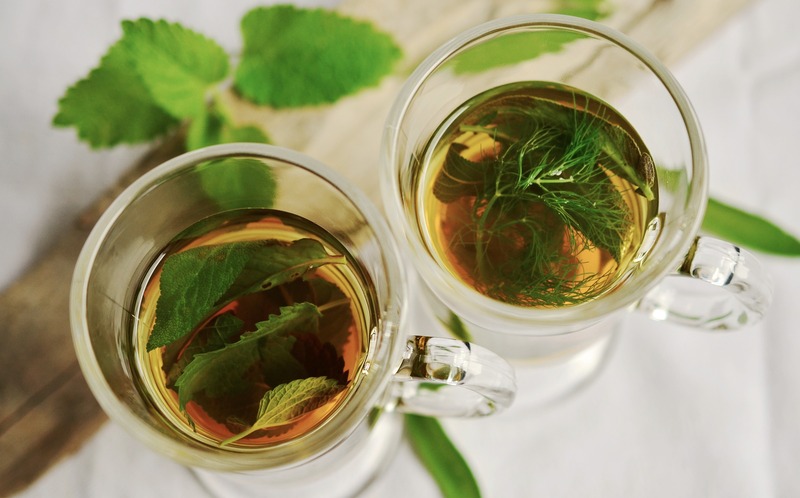 Green and white teas are loaded with antioxidants, which boost cardiovascular health, help lower cholesterol, reduce the risk of cancer and enhance weight loss, while red tea has medicinal properties and is rich in many minerals such as iron, calcium, potassium, copper, manganese, zinc, magnesium, and alpha hydroxy acid. For the most health benefits, enjoy your green, black, red, herbal, oolong or white tea steeped for several minutes and avoid adding sweeteners or milk to keep it calorie-free. Adding lemon to tea may also boost its benefits. Flax and chia seeds are small morsels, but are packed with many health benefits. Chia seeds are a great source of omega-3 fatty acids, fiber, antioxidants, iron, and calcium and flax seeds also have omega-3 fatty acids, vitamin B1, vitamin B6, folate, calcium, iron, magnesium, phosphorus and potassium. Both are loaded with protein and fiber, the nutrients most linked to enhancing feelings of satiety, which are essential for those trying to lose weight. Sprinkle chia or flax seeds on cereal, salads or yogurt. Add them to your smoothies, sauces, dips or in baked goods. Chia seeds must be soaked in water or another liquid for at least 30 minutes.